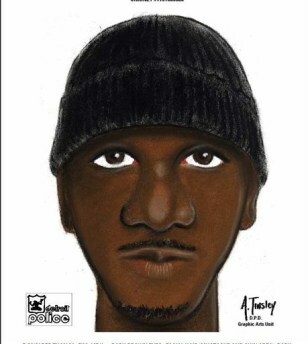 This updated sketch provided by the Detroit Police Department shows an artist's rendering of a man suspected in a series of rapes and robberies in Detroit's east side since Jan. 1. The suspect is described as black, in his 30s and about 5-foot-9. All the victims are black, and they range in age from 17 to 33 years old, the chief said.